I have been so busy this past week with a leadership conference at our church and haven't had much time for art or for posting anything I did the previous week. Last week, while off work, I played with making some collage journal page backgrounds. It was fun to layer strips of paper that I would normally just throw away. I'm not sure what kind of art this would be called...kind of abstract. But I enjoyed playing with it and I like the results of the backgrounds. 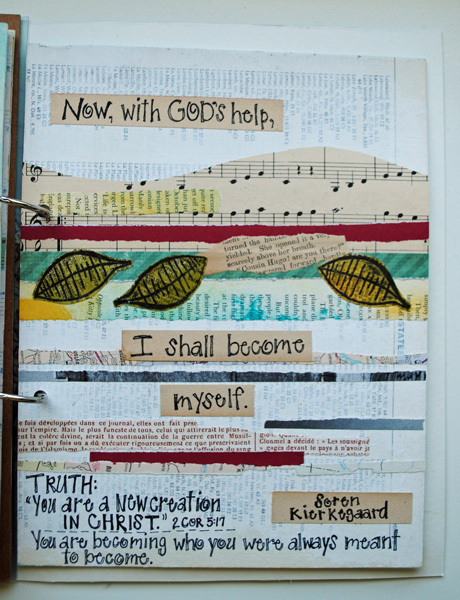 I love this quote by Soren Kierkegaard! This is still in the background stage. 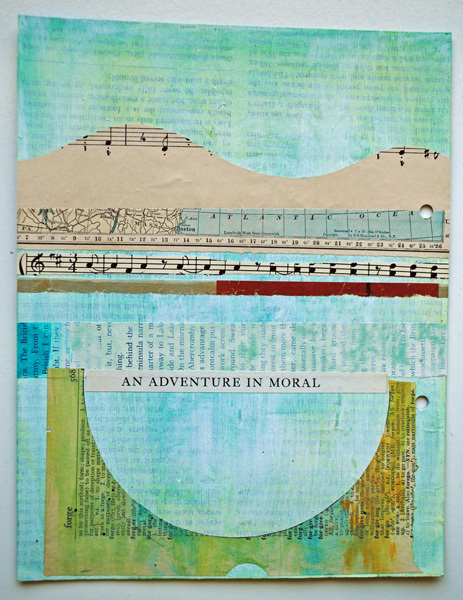 No scraps will go un-used with this type of collage! Mary, those are very cool. Thanks for sharing! 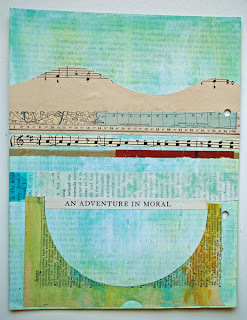 Love these, I am finding the desire to use more collage in my journal. To use scraps of stuff from daily living. These are totally lovely. I love how you added the leaves in the first one! Scraps are so much fun! I love your background and I especially love the quote!